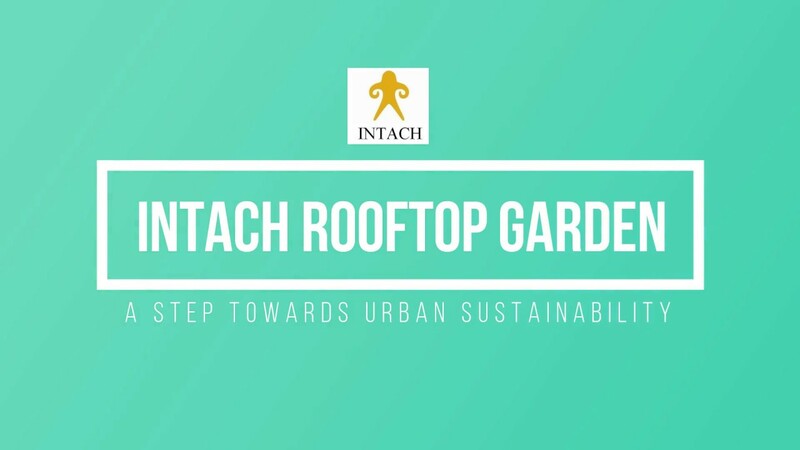 INTACH’s rooftop garden project was pioneered in 2004, from where it gradually became a successful example of rooftop gardening. Besides its primary benefits of fresh seasonal vegetables and a habitat for birds and insects, it has also been shown to reduce the urban heat island effect. INTACHs rooftop garden has, up till now, successfully produced brinjal, mint, sweet basil, bottle gourd, tomatoes, papaya, turnip, coriander, chiku and spinach. The narangi fruit produced is picked every year. Every aspect of this rooftop garden has been envisioned keeping sustainability in mind. Instead of chemical fertilizer to maintain the fertility of the soil, leaf litter form INTACH’s trees is composted in mulching bags.